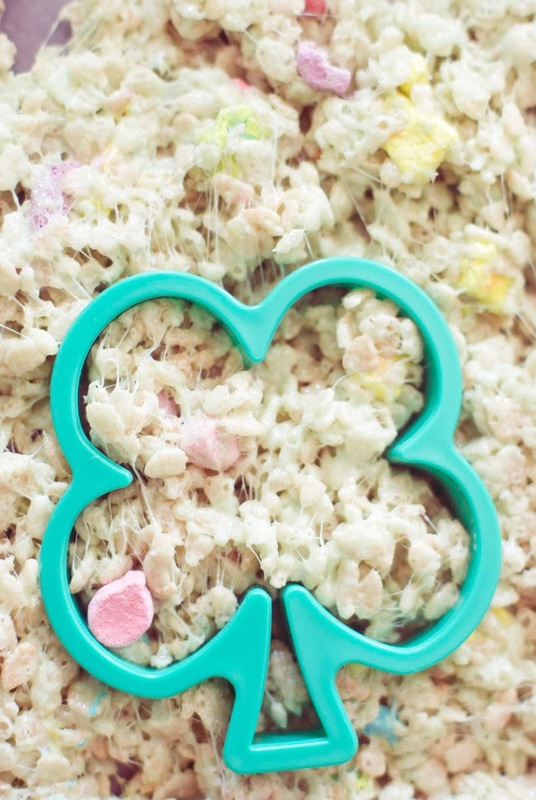 Over low heat melt butter completely. 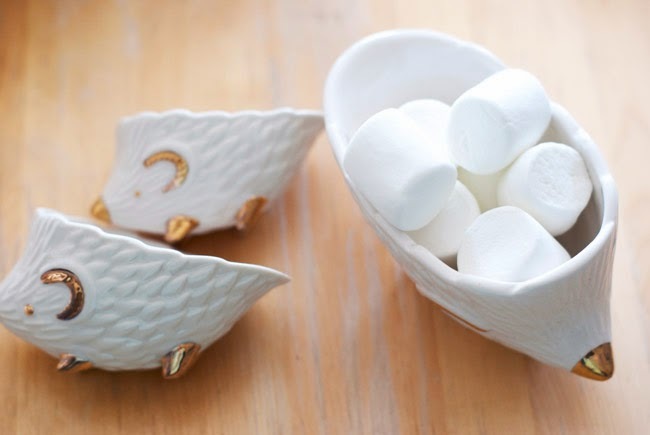 Gradually add the marshmallows and continually stir to avoid burning. 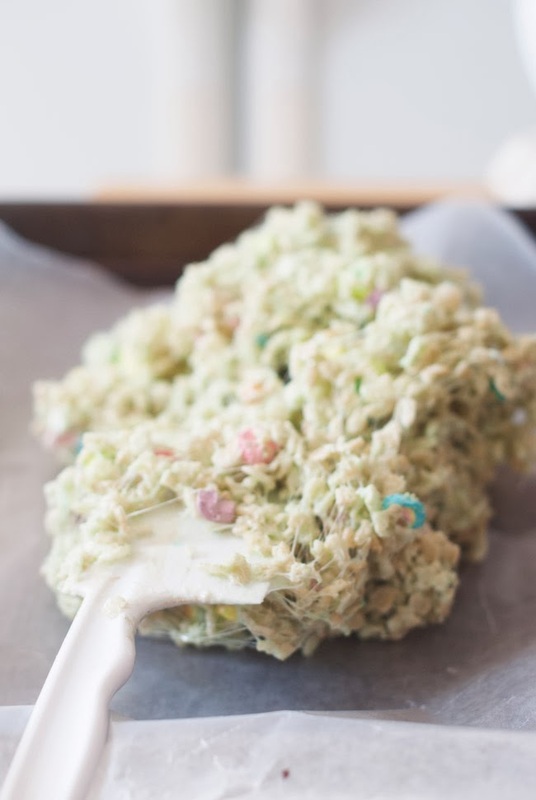 Once completely melted together add the vanilla and food coloring. 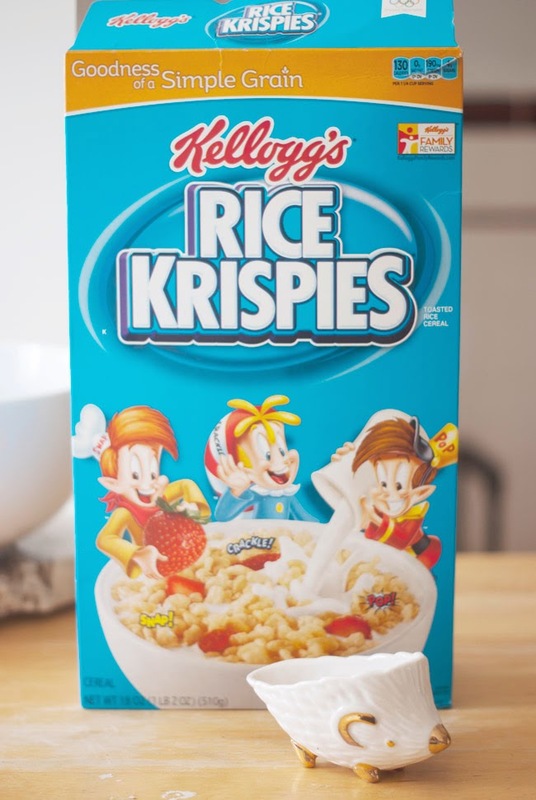 Remove from heat and stir in the Rice Krispie's. 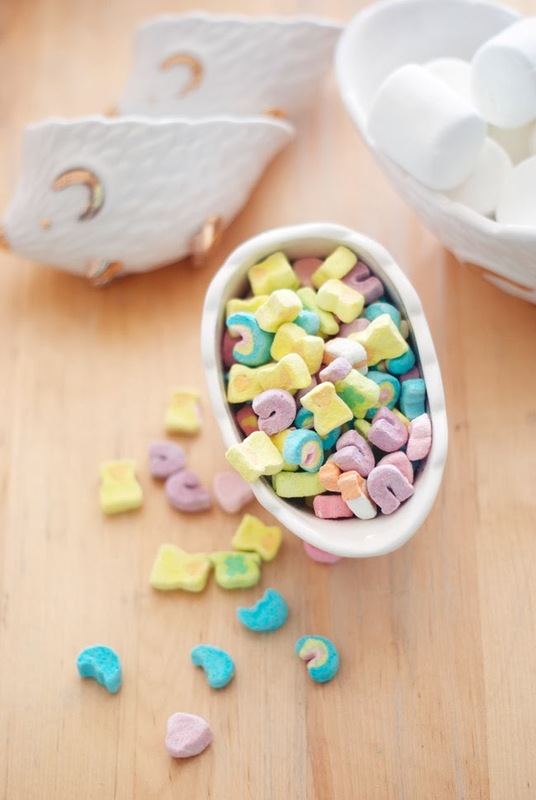 Once the mixture is combined, add the Lucky Charm's. Let cool and enjoy! Erm, let's see... 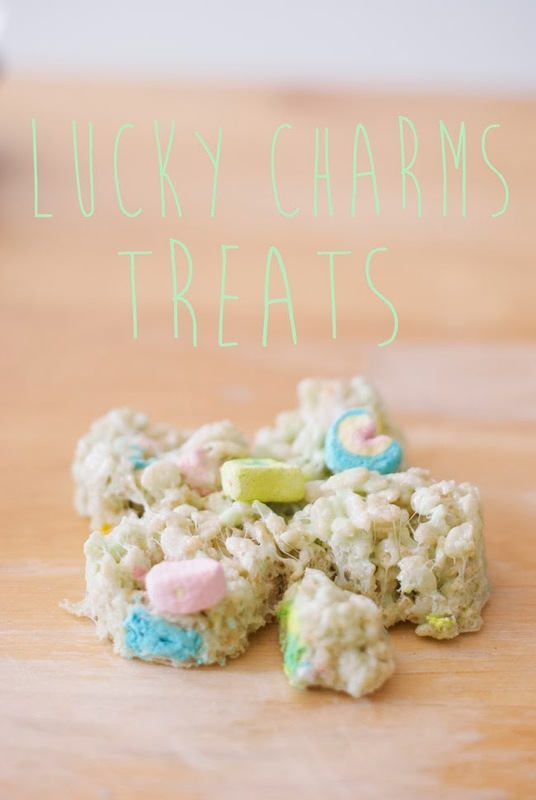 I love rice krispy treats, I loved Lucky Charms as a kid, and I have a penchant for Anthropologie... 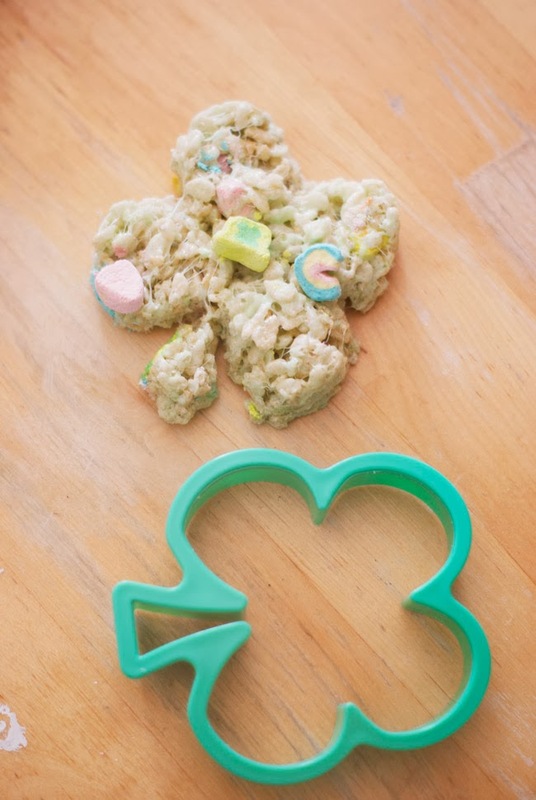 So making Lucky Charms rice krispy treats with Anthropologie hedgehog measuring cups? Perfection! 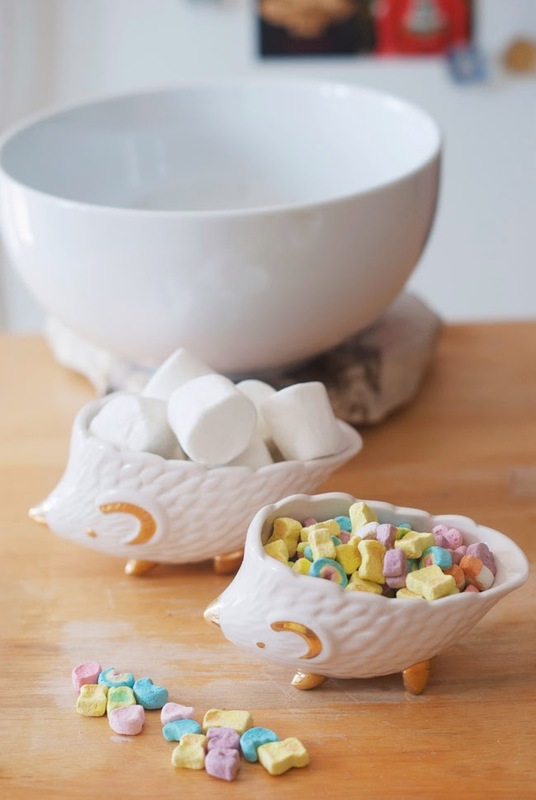 Those measuring cups are the cutest things I've ever seen. I might have to hunt a set down!